Natural gas and oil are integral in all parts of our modern lives – every hour, every day. They power and support our transportation and 21st-century electricity grid while making possible so many products that make life easier, healthier and safer. America’s energy abundance has produced lower energy costs for consumers and increased household disposable income. The reliability and availability of natural gas allows it to be the essential partner for the grid integration of intermittent renewable energies such as wind and solar. Our industry is constantly working to develop cleaner fuels for the transportation sector of today and tomorrow. Meanwhile, data-assisted, technologically advanced well construction is safely unlocking vast deposits of natural gas and oil with an ever-smaller footprint. 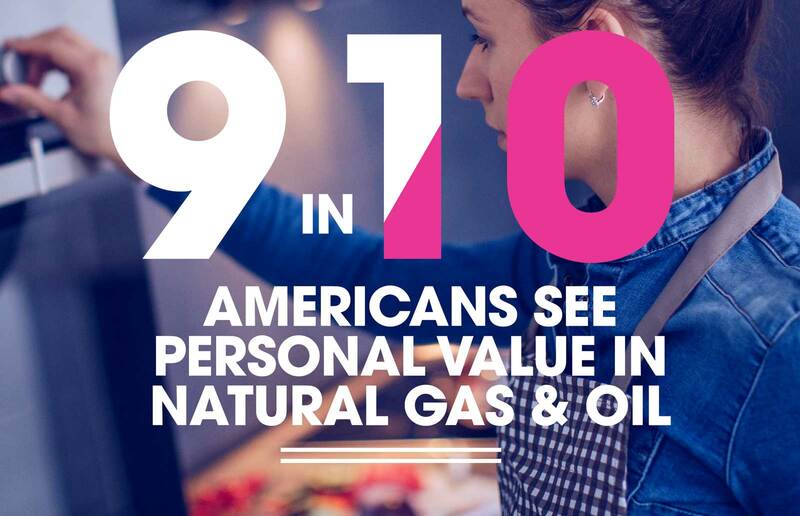 Natural gas and oil provide power that is essential in Americans’ daily lives. Natural gas heats homes, prepares meals and fuels generation of a third of our electricity. Oil powers transportation, ensuring freedom of movement and supporting the broader economy. No other energy source can match natural gas and oil for reliability and consistency across a nation as large as the United States. Natural gas is the leading fuel for U.S. electricity generation because it is abundant, affordable and reliable. Clean natural gas furnishes many attributes needed for a healthy electricity grid – quick ramp-up ability and capable of cycling on and off rapidly to meet changing levels of load due to increasing use of variable renewable energy on the grid. Natural gas long has provided reliable and continuous supplies to customers – including under adverse conditions. Natural gas and oil are present in virtually everything that makes modern life possible – as the building blocks for products and components associated with health care, clean water, education, entertainment, communications, art, agriculture and more – powering and supporting all of us.